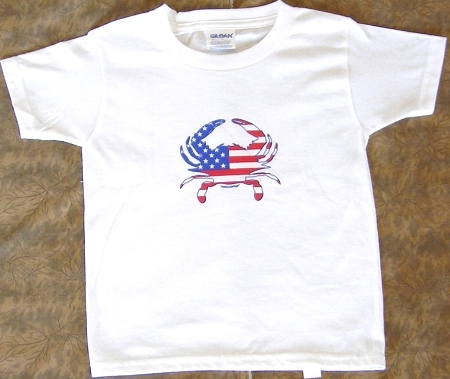 All American Crab meets the American Flag in this T-shirt for Toddlers. 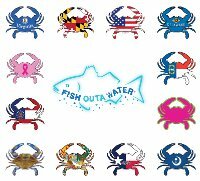 Vibrant design with the All American crab centered on the front. 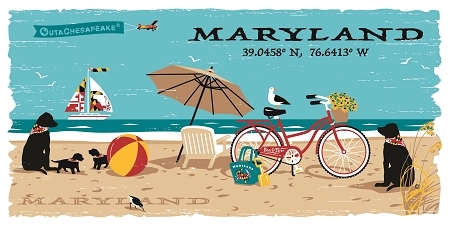 Gildan 5000 heavy cotton (5.3 ounce) white shirt with seamless collar.